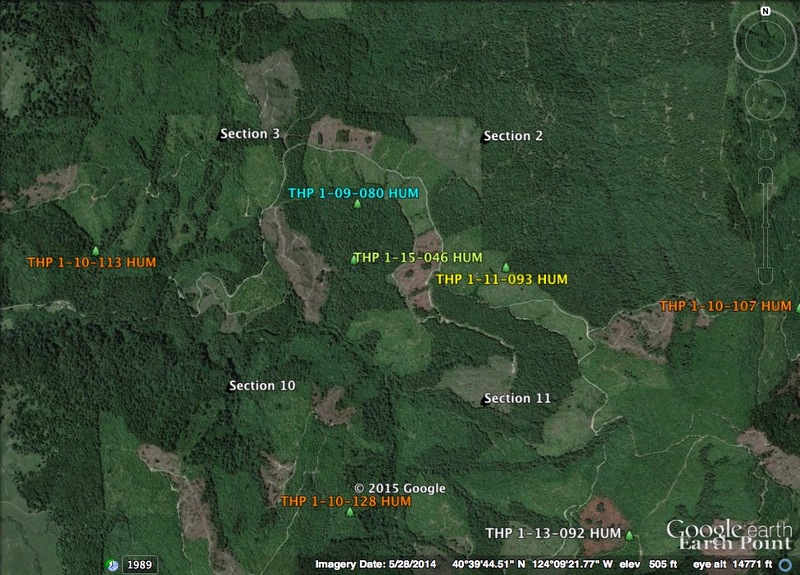 THPBlog: Green Diamond Resource Company to clearcut log near Fortuna. Fruit Growers Supply Company HCP invalidated. 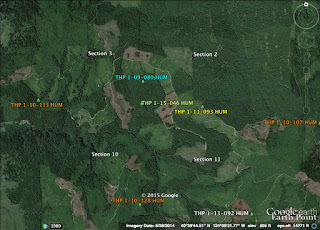 Green Diamond Resource Company to clearcut log near Fortuna. This THP is about 4 miles NE of Fortuna, CA and Highway 101 at an elevation of 200 to 800 feet. Green Diamond Resource Company is planning a mostly clearcut feller buncher, shovel and cable logging operation in Douglas fir and redwood forests. There is shallow rapid landslide terrain in units A and G, and deep seated landslide terrain in unit G. Over 6,000 feet of temporary road construction is planned, and 1,000 feet of road re-construction is planned. 15 road drainage sites are scheduled for work including rocking, dip construction, ditch cleaning and culvert repair/replacement. A bald eagle territory exists .92 mi north of the THP area, and there are 2 historic osprey nests within .25 mi of unit A, and several osprey nests within .25 mi of the SA1000 haul road. Chinook and Coho salmon, steelhead and coastal cutthroat trout are know to occur in the class I (year-round) habitat in Unit A, and southern torrent salamanders and tailed frogs are known to occur in the class II (mid-sized) habitat in the Salmon Creek watershed. There are spotted owl nesting territories within .25 miles of units A,B,C and G, and within .5 miles of units E and F. More information is available on the THP Tracking Center website.